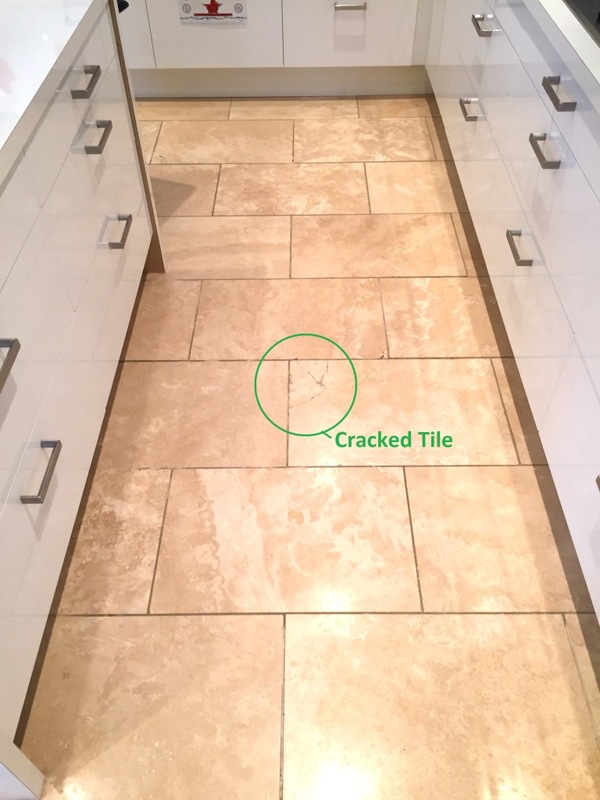 This Travertine tiled kitchen floor had been laid around five years previously in a house in Didsbury and now most of the sealer had worn down making the floor difficult to clean effectively. This resulted in the tiles looking continually dirty and a few of the tiles had cracked which you can see in the photograph below. 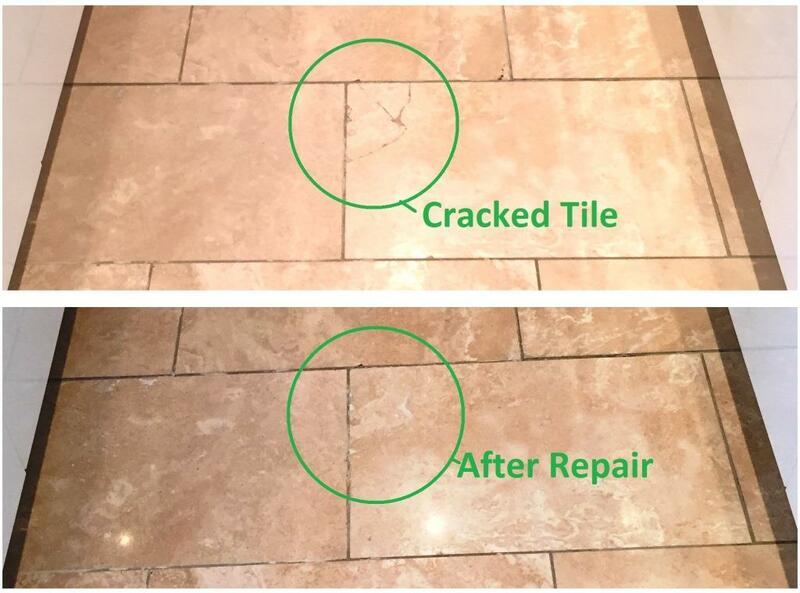 To start off with i scrubbed Tile Doctor Pro-Clean into all the grout lines with a stiff brush in order to get them as clean as possible followed by a rinse with water which was extracted using a wet vacuum. 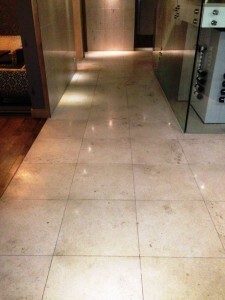 The next step was to strip the Travertine of any remaining sealer and dirt using a set of four Diamond encrusted burnishing pads which come in a number of grades and are applied from coarse to extra fine with a little water to help lubricate. I used the first three pads from coarse to fine rinsing between each pad to restore the polished finish of the stone but stopped before applying the final pad so I could fill all the cracked tiles with a resin filler in a matching shade. Once the filler had dried I gave the floor a final polish with the fourth extra fine burnishing pad and gave the floor a final rinse at the end to make sure the floor was clean before sealing. 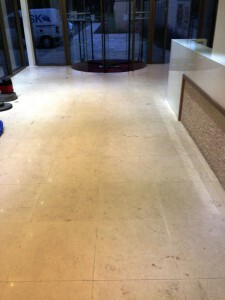 Once the floor was dry it was sealed using a couple of coats of Tile Doctor Colour Grow which is an impregnating sealer that occupies the pores in the stone so dirt cannot become ingrained there. 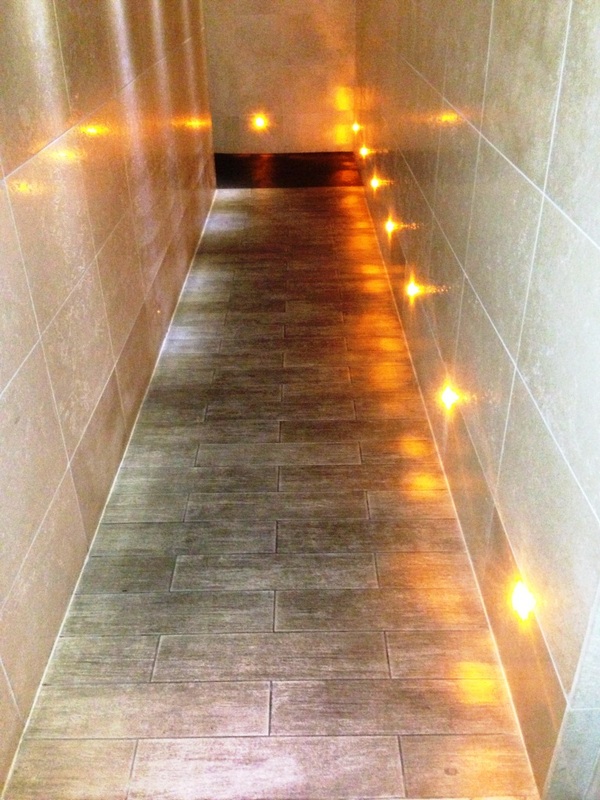 This particular sealer also enhances the natural colours in the stone. After the final polish and sealing the cracked areas had blended in very nicely and the customer was very pleased with the overall result. 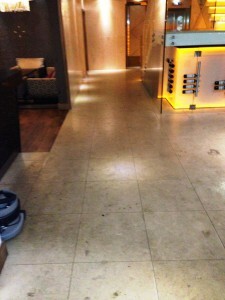 You may recall a Limestone job I did recently at a Manchester Hale country club, this Anti-Slip porcelain floor was installed at the same location in the passageway on route to the toilets and in the toilets themselves. 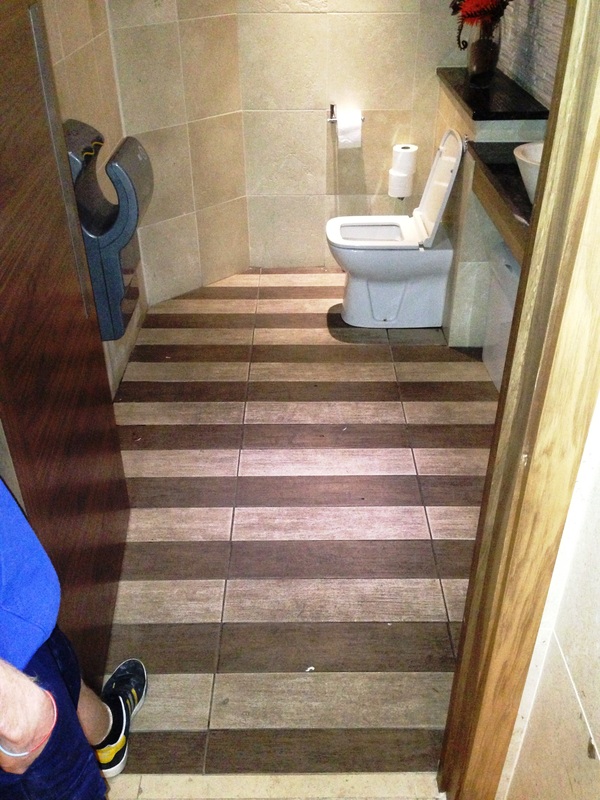 Slips and falls can be a huge problem for buildings with public areas and so tiles which have been etched to make a normally smooth surface rough make perfect sense, the downside of course is that those rough surfaces trap dirt and are difficult to clean. 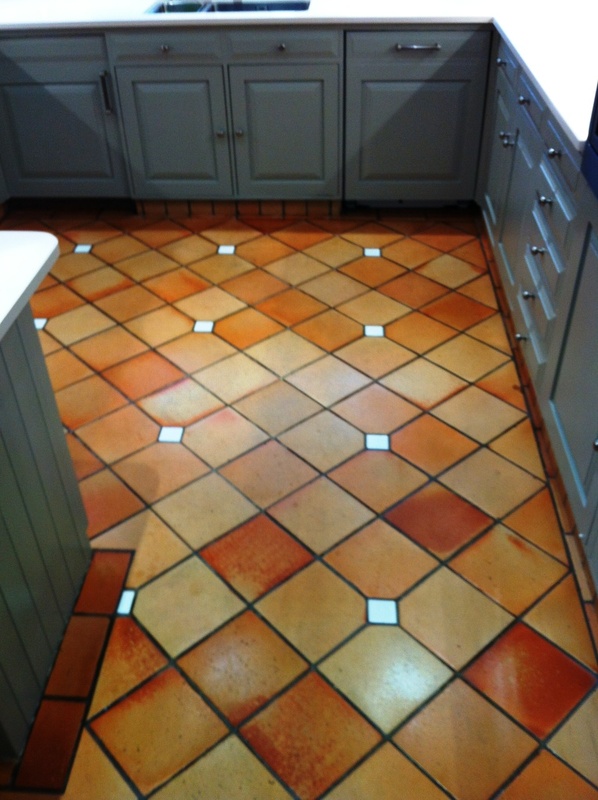 Tile Doctor have a chemical Anti-Slip alternative that only activates when the tile get wet that doesn’t require the tile to be etched but it does need to re-applied every few years. 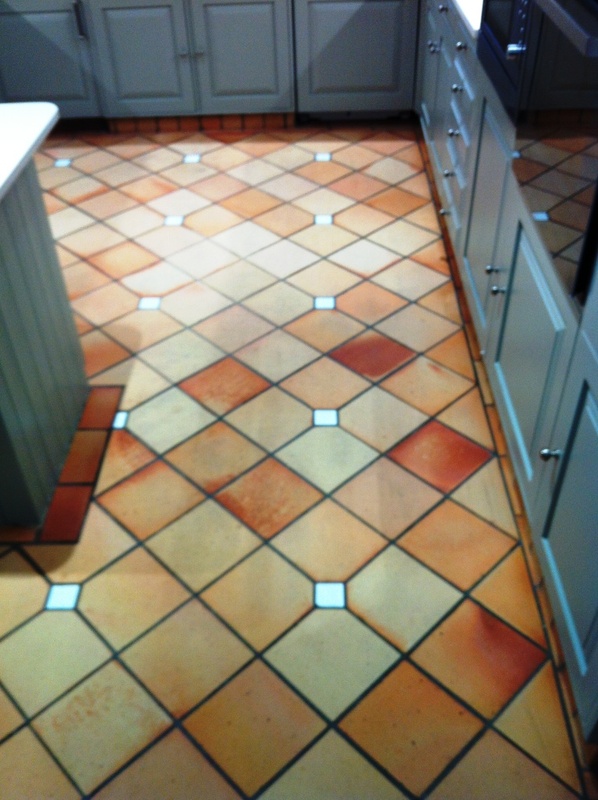 The floor tiled need a deep clean to bring out the ingrained dirt so we applied a strong solution of Tile Doctor Pro-Clean using two parts water to one part Pro-Clean and left it to soak into the tile for twenty minutes. 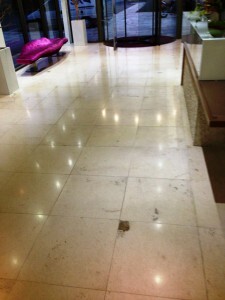 The solution was then scrubbed into the tile using a rotary machine fitted with a black scrubbing pad. 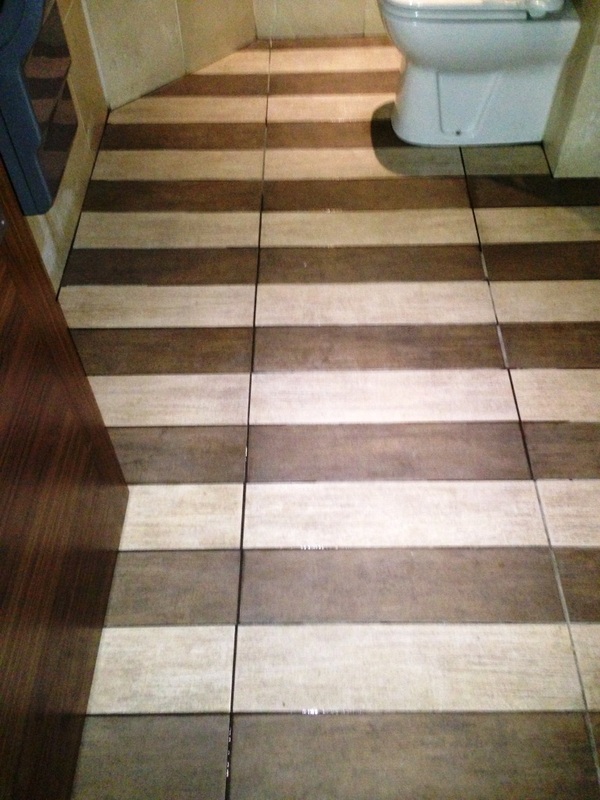 You could see the dirt coming out the pores of the tile and the resultant soiled solution was removed using a wet vacuum before washing the tiles down with clean water. 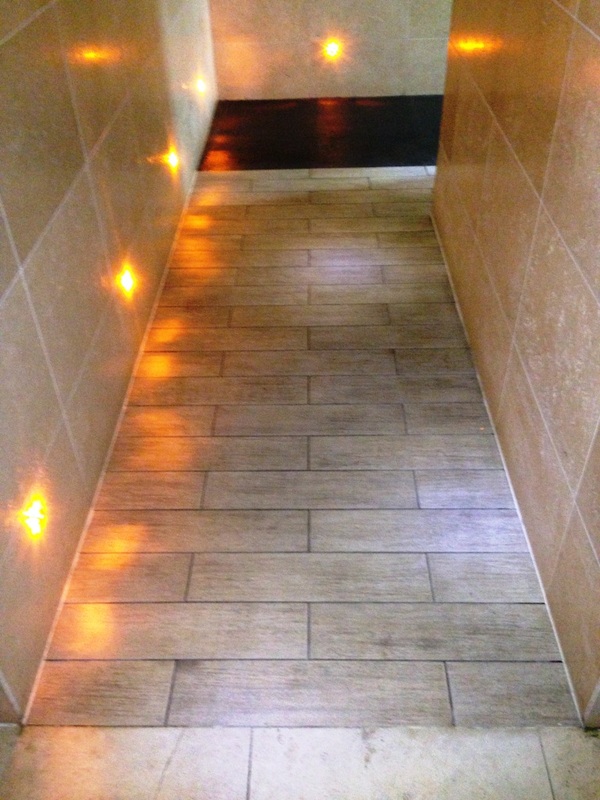 Including the ladies, gents and hallway there was a lot of floor area to cover and some of the stubborn areas had to be re-treated so it was a long job but I think you will agree the floor now looks great. 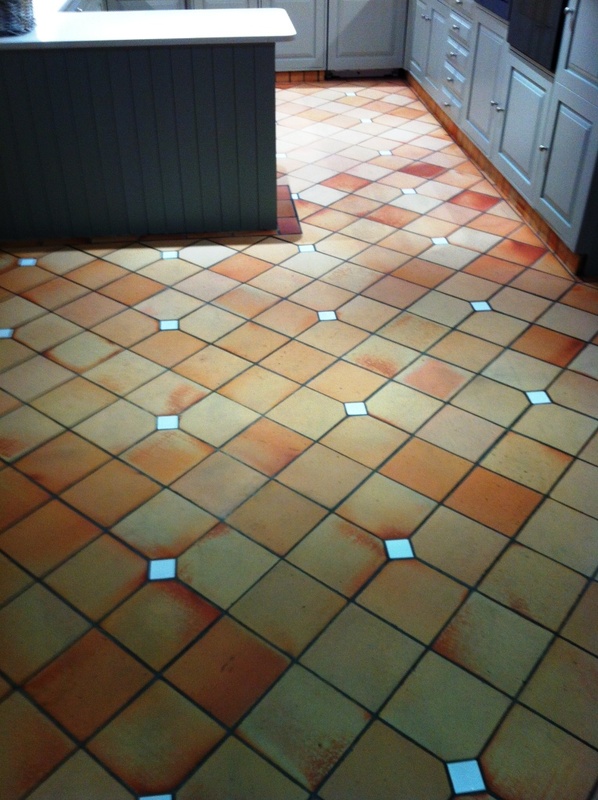 The Terracotta tiles still held some sealer so the first job was to remove that using a strong solution of Tile Doctor Pro-Clean which was worked into the floor using a buffing machine fitted with a black buffing pad. Once the floor was clean and I was happy the sealer was removed I rinsed the floor three times using clean water to neutralise the floor and remove any remaining cleaning product before sealing. I may have mentioned this before but I highly recommend the use of a wet vacuum at this stage as it makes the job of removing liquids from floors much faster. The floor was left to dry overnight and I came back the next day to apply the sealer. 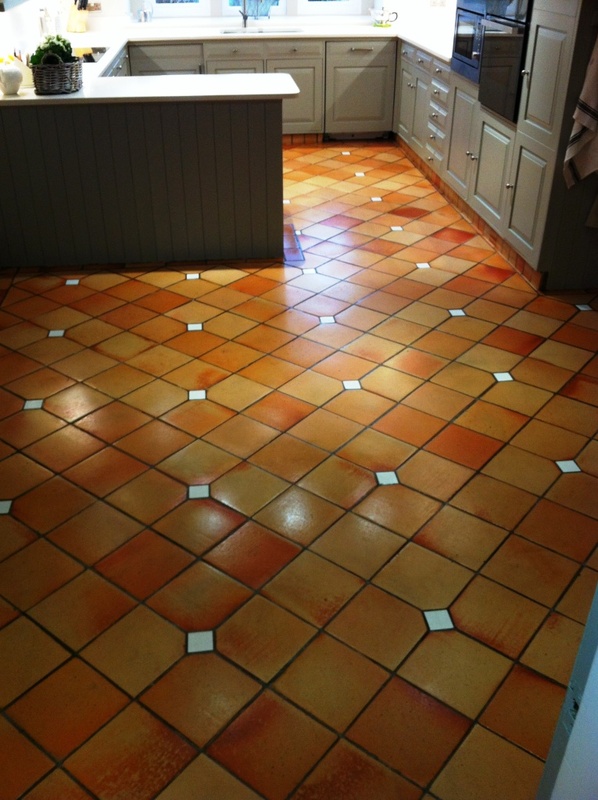 For Terracotta floors I usually use Tile Doctor Seal and Go, its recommended for terracotta and as well as providing good stain protection adds a nice low sheen to the floor. Terracotta is very porous and as a result I had found it was necessary to apply seven coats of sealer before it had become fully sealed; this does take time as it’s necessary to allow each coat to dry before applying the next. 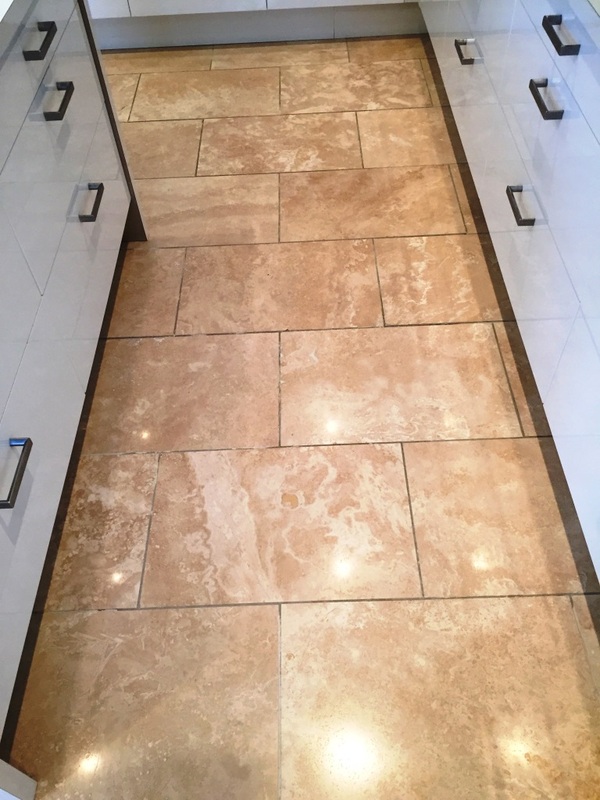 The Limestone floor is now back to its best and I took the time to explain the need to use a neutral cleaning product such as Tile Doctor Neutral Cleaner on the stone in future.